Back by popular demand 'The St. Stephen's Swap Shop'. 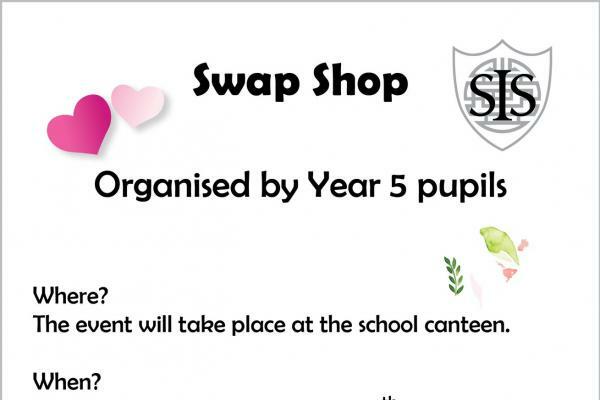 As part of Eco Week 2018, Year 5 have organised the annual St. Stephen's Swap Shop. Taking place in the canteen on Tuesday 5th of June and starting from 3pm, this year's promises to be the BEST SWAP SHOP EVER. The office is open and accepting items for swapping and those that contribute early will get first choice at the Swap Shop: 'Bring first, swap first'.